Our expert plumbers are ready to answer any plumbing and drain repair related questions. Drain repair and plumbing services offered by MT Drains & Plumbing company in Markham are bound to protect your home from leaks and floods caused by damaged or clogged drainage pipes. Our top-notch Markham plumbers will provide you with all the information and tips on how to keep your drain clean and pipes tight. 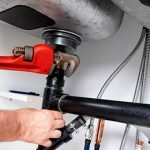 Looking for an emergency plumber in Markham? CALL (647) 998-6949 for immediate assistance. MT Drains plumbers have over 25 years experience in both commercial and residential plumbing repairs. Professional plumbing services in Markham. Including faucet installation, bathroom renovation, and water leak repairs. Residential & commercial plumbing. Drainage issue or drain repairs in Markham. If you are experiencing clogged drainage pipes or a broken sewer line. Sometimes a simple snaking procedure could fix your drainage issues and save you thousands of dollars. Are you experiencing a wet basement in Markham, Ontario? We fix leaky basements using the lateset waterproofing solutions. Offerin both internal and external basement waterproofing services. Water filter and water softaner installatino and repair in Markham. Regular maintanace of your water treatment system will imrpvoce the quality of your water and increase the life time of the equipment. Are you looking to replace or installa a new tankless water heater in Markham? or looking to update a leaky water tank, we can get the job done in just a few hours. Basement lowering contractor in Markham ON. Offering bench footing, concrete floor lowering, basement underpinning and basement walk out construction.